Latest Tires and Wheels Reviews – You could win up to $500 for reviewing products! Get the most out of your dirt bike with a new set of tires and wheels. Few things impact the way your ride feels more, and they’ve got to perform to your expectations. That’s why you’ll only find the best selection on our site. Dirt bikes are designed for a variety of terrains – loamy motocross tracks, hard-packed mountain trails, perfectly carved dunes and more. However, if you’re not running specialty tires designed for the kind of riding you do, you’re simply not getting the most out of your machine. Why not pick up a new set of dirt bike tires and truly reach the maximum level of enjoyment that your motorcycle can offer? 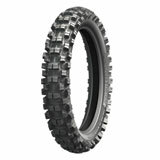 To get started, just take a look at our page dedicated to dirt bike tires. Of course, tires are just one side of the coin – you’ve also got to consider your wheels! Fortunately, tires and wheels are interchangeable, so you can reuse your old rims if you need to. Or if your rubber is still in good shape, you can reuse your tires if you’re in need of new wheels. 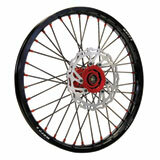 We’ve got full wheel kits in all major sizes for dirt bikes. Many of them won’t just keep your motorcycle rolling, they’ll also turn heads at the track with their flashy style. 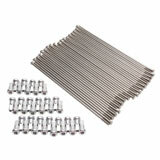 But if you just need a few replacement parts – spokes, wheel bearings, rim locks, hubs or even just the rims themselves – you’ll find them here as well. 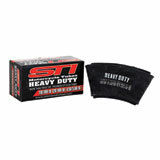 If you’re just looking for dirt bike tire tubes, tools or accessories, you’ll find them here as well. We’ve set ourselves up to be the best one-stop shop for all your dirt bike needs – and tires and wheels are at the top of our list! So whatever it is you need, take a moment to browse our extensive selection. You won’t be disappointed by our offerings.